Grower John Bacigalupi Tests Disruptive Technology John Bacigalupi, owner of the historic Bacigalupi Vineyards is the first California grape grower experimenting with AgriOzein to reduce pesticide and fungicide use. This ozone generator, AgriOzein, recently approved by the FDA, EPA and the USDA, produces oxygenated water, that when applied, shatters the cell walls of pests and funguses in vineyards, reducing the need for standard chemical regimes. The ozone is introduced into water and then applied to the grapevine with a sprayer. The ozone sprayer is lethal to anaerobic organisms that have to live with oxygen. Ozone selects out these organisms and as they breathe in the ozone, it shatters the cell walls. Excess ozone decomposes rapidly to produce oxygen and leaves no residue on grapes and grapevines. Bacigalupi plans to spray every 7 to 10 days. The harvest of 2015 will reveal whether Bacigalupi’s ozone treatments are successful. Australia’s Yabby Lake Pinot Noir Wins Top Honors at National Wine Show The new release 2013 Yabby Lake Block 2 Pinot Noir took home four trophies at the Australian National Wine Show Trophy Presentation Dinner in Canberra, collecting the RSN Riedel Trophy for Best Pinot Noir, the trophy for Best Dry Red Table Wine, the trophy for Single Vineyard Dry Red Wine, and the Len Evans Memorial Trophy for Champion of the Show. The wine was also recognized with the Pinot Noir trophy at the Royal Brisbane Wine Show earlier this year. This followed the achievements of the 2012 Block 1 Pinot Noir in late 2013, which was the first Pinot Noir to win the Jimmy Watson Memorial Trophy at the 2013 Royal Melbourne Wine Awards, and was also awarded the trophy for Best Pinot Noir and Best Single Vineyard Dry Red at last year’s National Wine show (reviewed previously in the PinotFile). The wine is one of three 2013 Single Block Wines under the Yabby Lake label that include a Block 6 chardonnay and a Block 1 Pinot Noir. The wines, crafted by winemaker Tom Carson, are made in tiny quantities. The U.S. importer is Southern Wine & Spirits. Next Glass Knows Your Taste in Wine A new app using a database of wines, your preferred tastes, and a camera to scan a label, can tell you ahead of time whether there is a good chance you will like the wine. The app is free and available now for iOS and Android. Apparently tens of thousands of wine samples have led to a database that can match your personal preferences to a wine. Visit www.nextglass.co. 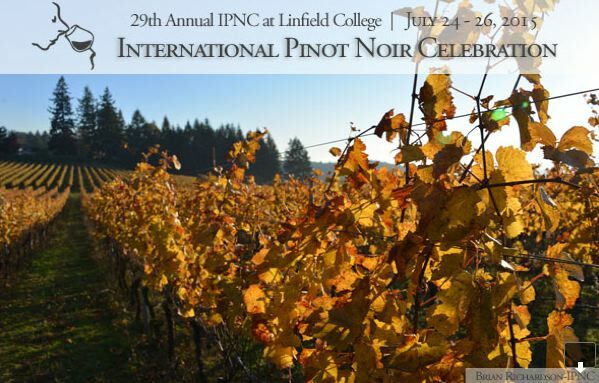 IPNC Early Bird Special The 29th Annual International Pinot Noir Celebration (IPNC) will be held July 24-26, 2015. 2014 marks an historic anniversary in Oregon since fifty years ago, David Lett planted the first Pinot Noir vine in the Willamette Valley. Early bird pricing for tickets to the 2015 IPNC are available now through December 31, 2014, and offer full weekend passes for a savings of $100 per ticket. Make sure to book lodging accommodations as they fill up quickly. Tickets and a a full list of local accommodations are available at www.ipnc.org. ¡Salud! Raises Record $722,000 for Vineyard Workers’ Healthcare. The sold-out ¡Salud! Cuvée Tasting and Big Board Auction of 2013 vintage Oregon Pinot Noirs at Domaine Drouhin Oregon on November 14 drew 475 attendees and raised more than $200,000, a record for that evening. The sold-out Saturday Dinner and Auction Gala on the following day staged at The Allison Inn & Spa in Newberg gathered 340 patrons and raised $522,000 through live and silent auctions, ticket sales and sponsorships. 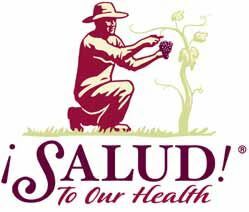 Willamette vineyards founder Jim Bernau and St. Innocent winemaker Mark Vlossak were honored at the event with Bernau receiving the Los Heroes de ¡Salud! Award and Vlossak the Legacy Winemaker Award. WHOA Farm Pinot Noir WHOA (Work Horse Organic Agriculture) is a southeast Santa Rosa, California, farm that grows wheat, fruits, vegetables and wine grapes that are given away to local nonprofits that help feed the needy. In 2012, the first WHOA Farm Pinot Noir was produced from the 5-acre Crane Vineyard, nestled between two agricultural sites on Petaluma Hill Road. The vineyard was planted to vines beginning in 2005, and now includes Dijon clones 115, 667 and 777, and a rare clone of Italian origin known as VCR 18. The vines are dry farmed. The wine was crafted gratis by Guy Davis of Healdsburg's Davis Family Vineyards, and 100 percent of the profits go toward the costs of animal care, farm management and the demands of providing up to 500 meals a day for Sonoma County residents. The 2012 WHOA Farm Pinot Noir is available now at www.whoafarm.org. 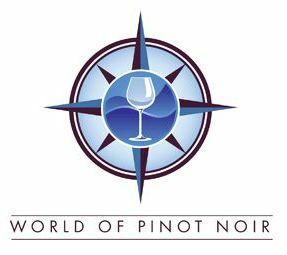 Passes Now on Sale for 2015 World of Pinot Noir This annual Pinot Noir bacchanalia will be held March 6&7, 2015, at the Bacara Resort & Spa in Santa Barbara, California. The event includes in-depth tastings, seminars and lunches and dinners. Friday, Saturday and Weekend Passes are now available on a first-come, first-served basis at www.worldofpinotnoir.com. The program has been expanded to include more wine dinners. Jancis Robinson will be the honored moderator at Friday’s seminar. The World of Pinot Noir Crystal Anniversary Dinner will be held Saturday, marking the fifteenth anniversary of the World of Pinot Noir. Visit the website for the list of over 200 participating wineries. Vineyard & Winery Management 24th Annual 2014 Grand Harvest Awards: Best of Class - 2011 Handley Cellars Anderson Valley Pinot Noir, 2011 Tondre Tondre Grapefield Santa Lucia Highlands Pinot Noir, 2012 Wild Horse Unbridled Santa Barbara County Pinot Noir, 2012 Graton Ridge Cellars Estate Paul Family Vineyard Russian River Valley Pinot Noir, 2012 Nicholson Ranch Estate Sonoma Coast Pinot Noir. Wine Spectator Top 100 Wines of 2014 (based on quality value, availability and excitement): #8 - 2012 Brewer-Clifton Sta. Rita Hills Pinot Noir (94 - $40), #17 - 2012 Soter Mineral Springs Ranch Yamhill-Carlton Willamette Valley Pinot Noir (93, $60), #26 - 2011 Emeritus Hallberg Ranch Russian River Valley Pinot Noir (93 - $42), #29 - 2012 Hamilton Russell South Africa Pinot Noir (93 - $46), #36 - 2009 Marcassin Marcassin Vineyard Sonoma Coast Pinot Noir (97-$125), #53 - 2012 Ponzi Tavola Willamette Valley Pinot Noir (91 - $25), #71 - Roar Rosella’s Vineyard Santa Lucia Highlands Pinot Noir (93 - $52), #86 - 2012 Pali Wine Co. Huntington Santa Barbara County Pinot Noir (90 - $23), and #100 - 2012 Saint Clair Pioneer Block 16 Awatere Marlborough Pinot Noir (92 - $31). Stanford Wine Tasting Class When I attended Stanford almost 50 years ago, the curriculum did not surprisingly include a wine tasting class, because the campus was dry. Stanford students can now take FRENLANG 60D:French Viticulture, a one-unit course taught by a veteran of the wine business, AJ Ferrari, who works at Michael Mina Restaurant in San Francisco. Ferrari has been teaching the introductory wine class for nine years, and offers an advanced version of the class as well. Students have been known to camp out overnight to sign up for the courses. 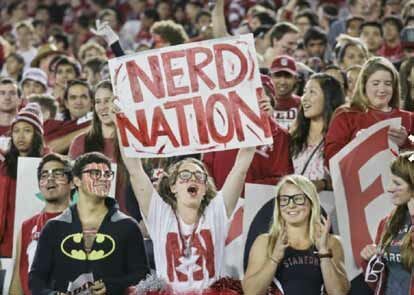 Even nerds love wine. Scott Paul Wines Sold Now in its 15th anniversary year, Scott Paul Wines was sold to Scott Wright’s long time friend and business partner, Cameron Healy. Wright will retain full ownership and concentrate solely on his Burgundy and Grower Champagne import company. The new name of the Burgundy and Champagne import company will be announced soon. Cameron will push forward with brand building with both Scott Paul and Wildstock Wines under the umbrella of Vintisanal Wine Company. He is a sixth generation Oregonian who founded both Kettle Foods (Kettle Chips) and Kona Brewing Company. For the next year, Wright will stay on as a consultant for Scott Paul Wines assisting Kelley Fox with winemaking decisions. The vineyard and winemaking philosophies of Scott Paul Wines will remain unchanged. Millennials Now Prefer Wine Over Beer I commented recently that a high percentage of my readers are Millennials. A new study by Goldman Sachs was reported in thedrinksbusiness.com (December 5, 2014) showed that Americans aged over 50 remained faithful to beer, the Millennials prefer wine and spirits over beer. It is predicted that the craft beer rage will soon plateau. Anaba Wines Appoints New Winemakers Anaba Wines produces Burgundian and Rhone varietals from grapes grown on its Carneros estate and other vineyards throughout the state. Anaba, named for the anabatic winds that flow through the region, was established in western Carneros in 2003. Owner John Sweazey has appointed Ross Cobb (COBB Wines and Hirsch Vineyards) and Katy Wilson (La Rue Wines). The pair met while working at Flowers Vineyard & Winery and in 2012 formed a winemaking partnership. Video Expressing Argument Against Expanding Sta. Rita Hills AVA A video has been posted that expresses the opinion of the Sta. Rita Hills Wine Growers Alliance that the Sta. Rita Hills AVA should not be expanded to the East. A proposed expansion of the AVA is currently being reviewed by the government. Visit www.independent.com/news/2014/dec/03/video-argument-against-expanding-sta-rita-hillsap/.